A big GOP frontman seems to have changed his tune on climate change. Sen. John Thune (R-SD), chair of the Senate Republican Conference, admitted in an Fox News interview on Sunday that human activity has likely caused some climate changes. This is a big step, though in the same segment Thune expressed negative feelings on the US-China climate deal reached last week, and promoted the Keystone XL pipeline. 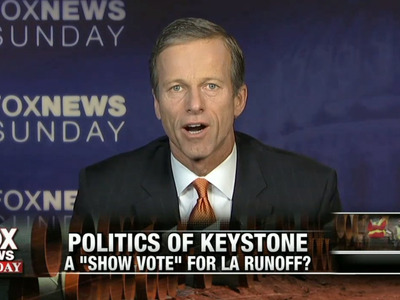 As a member of a party often noted for its representatives’ unwillingness to cooperate with national climate policy or even for their outright climate denialism, Thune’s first remark was a solid acknowledgment that human-caused climate change is occurring. 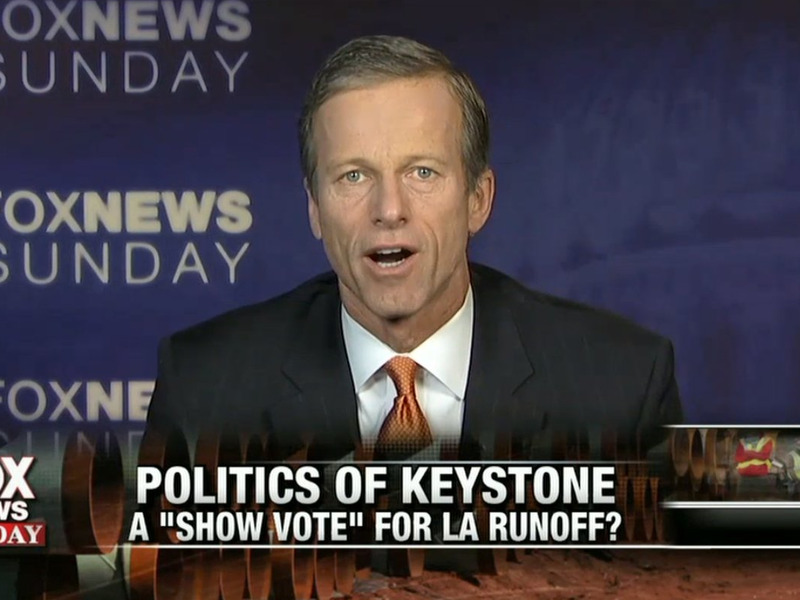 Earlier in the same news segment, Thune also reiterated his support for the Keystone pipeline, which has been hotly protested by activists worried about its effects on the environment. The pipeline, if approved, would stretch from Alberta, Canada, down to the Gulf of Mexico, transporting crude oil from Canada’s oil sands. Experts argue that producing crude from oil sands emits 17 per cent more greenhouse gases than traditional oil drilling. A bill for the construction of the pipeline passed in the House of Representatives on Friday and will go to the Senate next. While Thune’s change in tone is likely to be seen as a win for climate change believers, many other GOP senators still take no stance on human-caused climate change, and others outright deny it. Earlier this month, Mother Jones found that nearly all of the 11 Republican senators-elect did not believe humans caused climate change, had no concrete opinion on the subject, or had a history of waffling between stances. In addition, Sen. Jim Inhofe (R-Okla.), an outspoken climate sceptic, is reclaiming his position as chair of the Environment and Public Works Committee, much to the dismay of climate change activists around the country. Interestingly, Republican representatives’ climate stances are not always supported by their constituents. A national survey of Republicans and Republican-leaning independents found that 52 per cent believe climate change is happening, and only a third agree with the Republican Party’s position on climate change.